George Kinder's views on creating a golden civilization for a thousand years. George’s talks about his new book A Golden Civilization it is about a great civilization. A civilization that thrives with freedom for all, for hundreds, if not for thousands of years. He began the book reflecting on both the economic crisis and the political crisis that we have faced starting with the Banking Crisis of 2008, the subsequent Great Recession, and the distrust of the financial services industry. Moving on to political turmoil in developed democracies, to surveillance, populism, wars, earth-fears, inequality, cynicism, and distrust, He has looked instead for the systems and structure that would bring the authenticity, exhilaration, and peace of freedom. 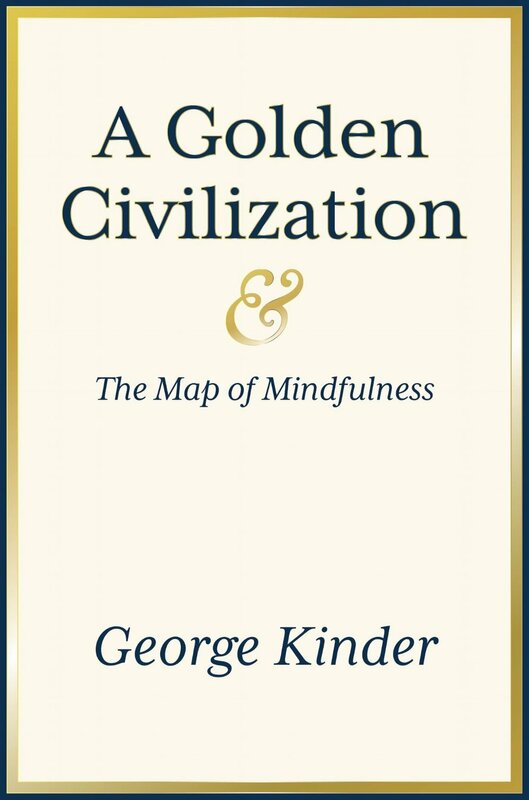 George Kinder discusses creating a golden civilization for a thousand years, through changing our democracy, media, leadership and markets through mindfulness practice. Hear George talk about his new book A Golden Civilization & The Map of Mindfulness. Available on Amazon today! Series #1 - Father of the Life Planning movement in Financial Planning, thought leader George Kinder is currently finishing his latest book "A Golden Civilization" which hopes to inspire great change in the world by illuminating the crisis of inequality and presenting the reader with a path forward through mindfulness. Introduction of A Golden Civilization series # 1 - George Kinder's latest video interview with Leisa Peterson on how to create A Golden Civilization for a thousand years. Series #2 -George Kinder discusses his revolutionary vision of space and time as they relate to freedom for all in his new book A Golden Civilization. Series #3 - In this clip, George Kinder and Leisa Peterson discuss what democracy will look like in a civilization where the power is back in the hands of the people. Series #4 - Sitting with Leisa Peterson to speak about his upcoming book "A Golden Civilization" George explains the problem with "isms" and presents how he thinks society would benefit from a shift away from self-interest. Governments can't listen. Corporations can't listen. They can't act out of self-knowledge the way that we can. Session #5 - Life Planning isn't only essential to ending the inequality that we face in society as we know it, but also uniquely positioned to do so as many of the systems in its makeup allow it to be available to anyone, no matter their place on the economic ladder. Session #6 - In this month's clip, George and Leisa Peterson talk about how shifting how we view economics will help bring about A Golden Civilization. SESSION #7 - GEORGE KINDER SPEAKS WITH LEISA PETERSON ABOUT HOW THE BANKING CRISIS MOTIVATED HIM TO SPEAK OUT IN A MUCH LARGER WAY THAT OUR FINANCIAL INSTITUTIONS MUST DELIVER FREEDOM TO PEOPLE AND ACT WITH INTEGRITY IN ORDER TO REACH A GOLDEN CIVILIZATION. 11-19-18 We all know civilization is in a tough place. How can gathering together and discussing it cause global change for the better?